A mom and baby bottlenose dolphin swimming side by side in shallow waters of the Red Sea off the coast of Israel. A bottlenose Dolphin baby with its mother photographed underwater in the Red Sea of Israel. Please make sure to visit my photo gallery pictures of dolphins with more photos of different kind of dolphins. 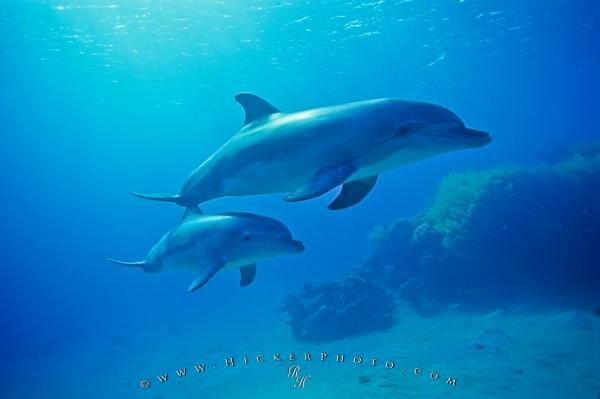 Photo of a bottlenose dolphin baby with its mother underwater, Red Sea, Israel.